I always think I will remember those funny little things, but I don't. I swear my ability to live in the moment sometimes makes for an awful memory. So before I forget I want to share some of my favorite Ryderism's right now. 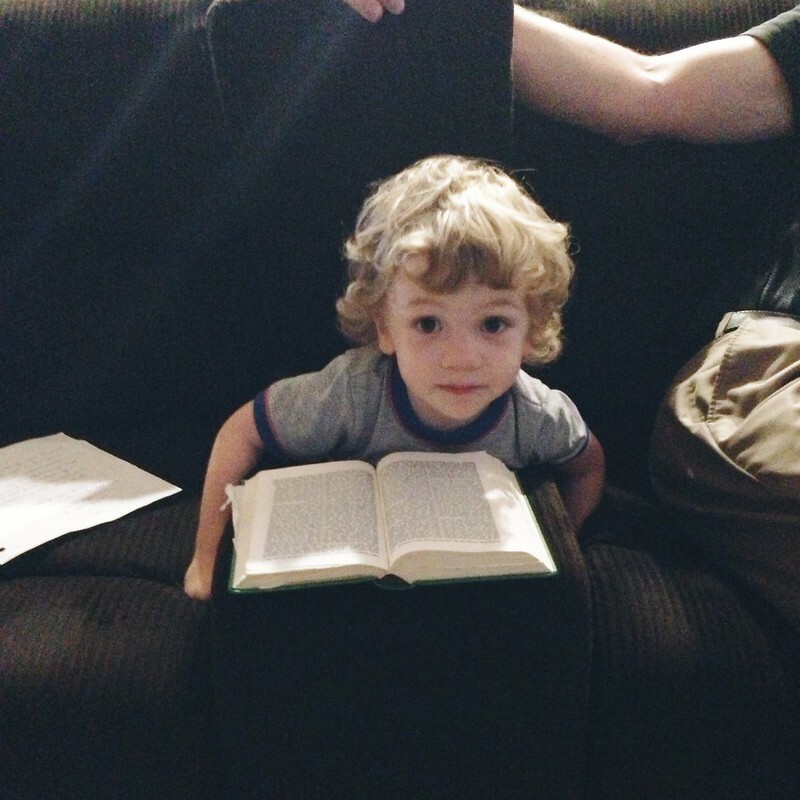 --Says "are" instead of "am"-- ex: "Yes, I are Ryder" "I are going to bed"
--Every night we read scriptures before bed. Ryder has found this old copy of the New testament that I believe Eric got on his mission and will "read" along. He will open up and say "Chapter 1: We don't jump on the couch" Chapter 2: "We don't go potty on the floor"
Now we help him read a verse, he repeats the words after Eric as if he is really "reading" very intently looking down at the words. --While the rest of the us our cleaning up the kitchen and dishes after dinner, Ryder has begun cleaning up the family room all on his own. He makes sure everything is off the floor. He also hates having his hands messy-- I finally have a child who likes things clean! Makes his daddy very proud. 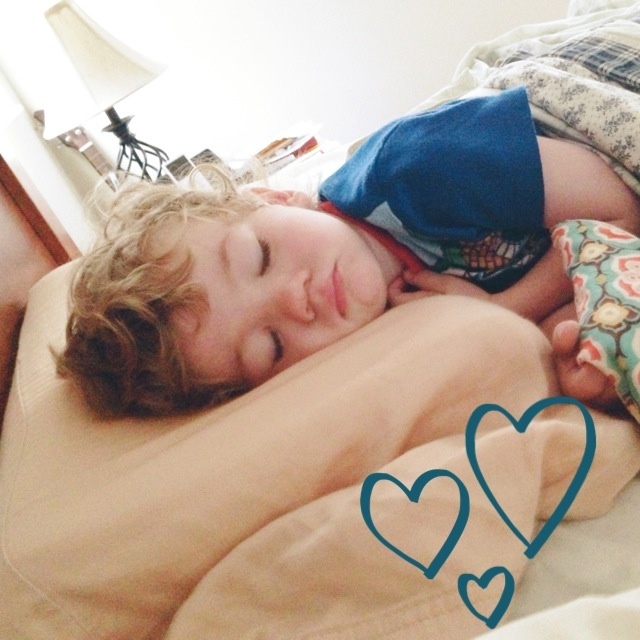 --When Ryder wakes up in the morning, he used to call "Mommy! Mommy!" I would go get him out of his crib and bring him into bed with me. He would usually lay there for a few minutes then be ready to be up. Sometimes though he will even fall back asleep for another hour. Now he has started something new, in the morning he calls out "Mommy, I am ready to get up and come into bed with you." --He still loves to wrestle with his brother and sister, will play kitchen and tea party with Alex and whatever games and trouble his brother and sister get him into... though he causes his own share of trouble. And my favorite- he still loves to cuddle with me and always tries to give me kisses right on the lips! I love when John pretends to read too! He will point to words and say whatever he thinks the sentence is really slowly! So cute! I love Ryder's shaggy curls! Awe, sooooo sweet. This so makes me want one... someday. ha! Thanks! I love them too, trying to keep them around as long as possible. It is so cute when they "read"
What a cutie! I love the pretending-to-read. I love his curly mop of hair! He is so sweet, and that age is such a fun age. Lucky you on him loving to clean, though, wow! Carson does the same thing most mornings - he will climb out of bed and into my bed. Sometimes I am lucky and he will sleep for another hour or so.. sometimes I am forced to get up at 5am with him ha ha! Ugh 5 AM is too soon, Luckily the earliest he seems to wake up is 6, but yes he often will fall back asleep in my bed too, love the extra sleep. I know I hope he keeps that love of cleaning! Yes, that is my favorite new trick of his. Awww I love that last photo of him...such a fun age! So adorable! Reminds me of when my kids were younger, I'd do the same as you - pull them out of the crib and bring them to bed with me. Long gone are those days, now they come barging in asking for food! The extra sleep is always nice :D I always tell Carson that mommy needs her beauty sleep ha ha.